The horseback riding camp activity at Rockbrook combines excellent horses, expert riding instruction, and beautiful horse facilities to create the perfect setting to enjoy riding at summer camp. 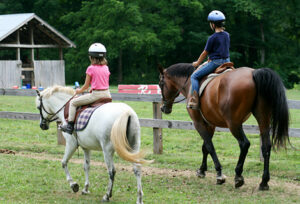 Every camper can select horseback riding at no additional cost each session. 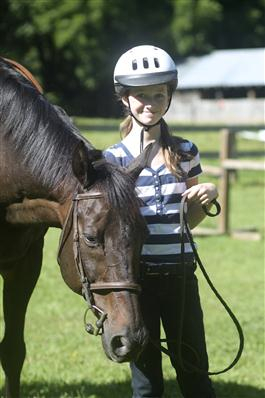 Girls with every level of horsemanship skill can become better riders at Rockbrook's horseback riding camps. 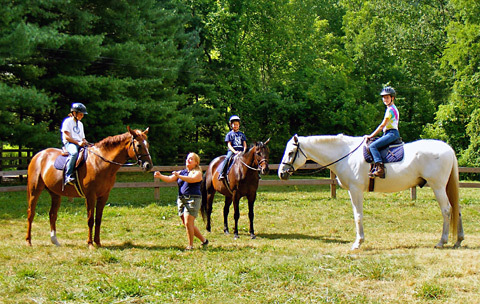 We have horses to match every rider's experience and instructors to tailor each horseback riding lesson to each camper. 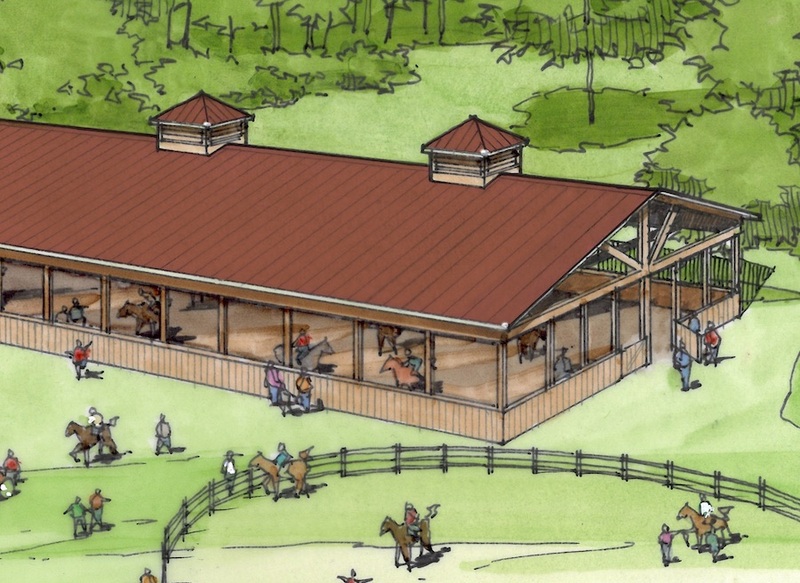 Last summer we announced Rockbrook’s plan to improve its horseback riding facilities by building a covered riding arena and new modern barn. It was a quiet announcement really, but it included this architect’s rendering showing the open-air design we had in mind. Well, it’s time to announce it more publicly and officially! We’re thrilled to share the news that the construction is well underway and we’ll have the arena finished and ready for action this summer! We began the construction in late August by using a bulldozer, a large excavator, and multiple dump trucks to prepare a large flat area of the upper pasture. This was a major job since we needed almost 42,000 square feet (almost an acre!) of flat land to fit the two new buildings, and redesigned outdoor ring. A civil engineering firm from Asheville helped us establish the correct grade, plan for storm water drainage, and survey a new road through the property. Since that time, Richie Case, Rockbrook’s full time Site Manager, has served as the project’s Contractor and led a team of workers through every step of the construction. 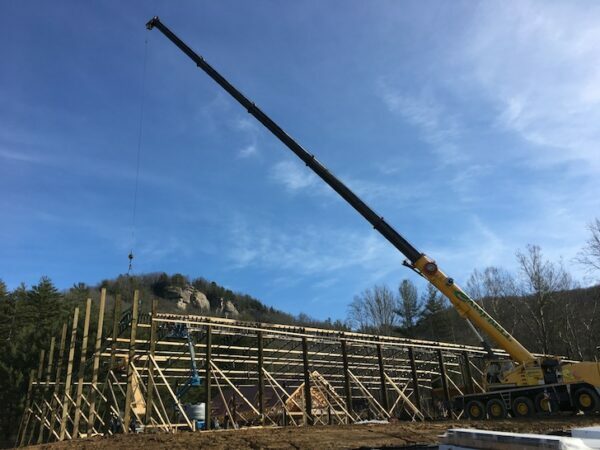 We’ve received 90-foot steel roof trusses from Missouri, 30-foot long pressure treated timbers from Washington state, and bundle after bundle of lumber arriving on probably a dozen different trucks. More than 30 trucks have delivered concrete for the footers, post forms and sections of the barn floor. One highlight was the 100-foot tall crane that, over four days, lifted each steel roof truss into place on the riding arena. OK, so what’s it going to be!!?? The arena is huge! It’s 180 feet long and 90 feet wide, has a vaulted ceiling going up 26 feet, a 5-foot rail all the way around, a full lighting system, and a footing of sand, mixed with special additives ideal for the horses and hunter-jumper riding. On one end there’s an additional covered area for a mounting ramp, equipment storage, and observation. 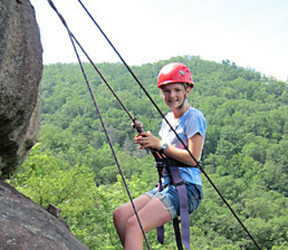 Certainly among horse camps, it’s the largest in western North Carolina, but more importantly, it will allow Rockbrook girls to ride all summer long no matter what the weather… rain or shine! In the shade and with fewer bugs to bother you while riding, it will be a wonderful place to ride. The new adjoining 96×50 barn is wonderful too. It has 10 large 12×12-foot stalls, a heated feed room, separate tack room, a spacious 14-foot wide aisle, and a full 3,000 square-foot hay loft. Each stall has rubber mat floors, sliding stall doors, and rear dutch doors that open to the outside. Under a wrap-around shed porch, there are two wash stalls, equipment storage and more areas to observe what’s happening in the riding arena. It will be so nice to tack up, walk your horse down the barn’s aisle right into the arena, and ride— all under a roof. Stay tuned for more updates. As you can see from this recent photo, we’re not quite finished, but we couldn’t keep it a secret any longer. If you ride at camp, you’re gonna love it! Finally, here’s a fun little video shot from a drone. It shows both new buildings and gives you a sense of how they relate to the other riding areas at camp. Have any questions about the new arena? Let us know in the comments or get in touch. It’s amazing how many ways one can stretch their limits and move their bodies during a day at camp. Today was the first day of activities for our Third Session and the girls were so excited to jump right into their first rotation of classes. Where else can you walk, run, swim, climb, shoot an arrow, paint a pot, catch a frog, eat muffins, wear a costume and sing your heart out all in ONE DAY?! That is exactly what you would see if you took a stroll around the campus, action every where you look! Our first stop was down at the barn where the riders and stable club were suiting up for their day. The riding staff interviews each camper who wants to ride and then places them in the appropriate class. There are riders of all skill levels and the staff and horses are wonderful teachers. It is special to see that bond that develops between horse and rider after a few weeks together at camp. We look forward to the weeks riding on! With the beautiful sunshine beaming today our morning Yoga classes moved outdoors to do some Yoga on the hill. Yoga is a popular activity at camp and many campers love the chance to stretch, deep breathe and feel that wonderful sense of calm that comes over you after you complete a yoga session. 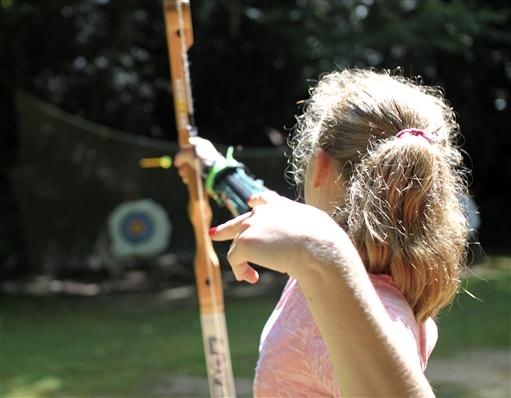 Down at our target sports area our instructors worked with the girls on the safety rules of archery and riflery and then the campers got busy trying their hand out at these two sports. 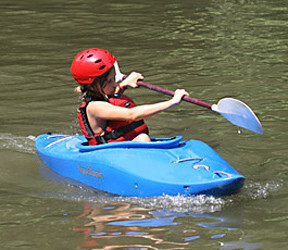 Both of these activities are very popular as they are not something you usually get the chance to try out at home. 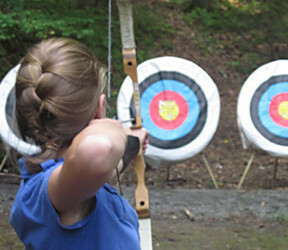 Believe it or not we even had a few girls join the bulls-eye club today by hitting the bulls-eye on the target. 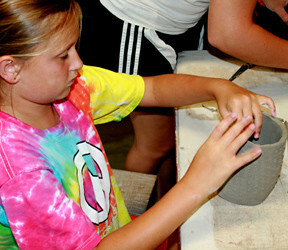 Both activities follow a progression of instruction and as the campers skill improves new challenges await them. These include moving farther from the target or advancing to a seated or standing position in riflery. 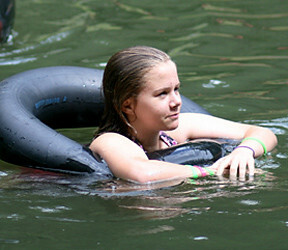 Free Swim was also quite popular today, a time when campers can come to the lake to swim or zip down the water slide. Equally popular is searching for tadpoles and baby frogs. The juniors (our youngest campers) really love the tadpole quest so it is really exciting for them when the tadpoles turn into frogs. Chrissy, our waterfront director, reported that there were equal numbers of swimmers as frog hunters. 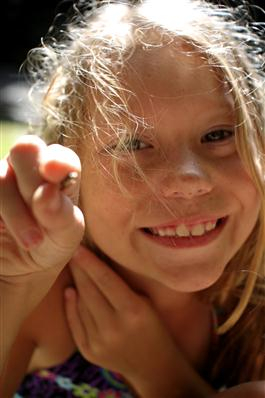 Simple things like finding a baby frog are what make camp so special! 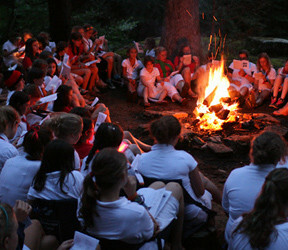 As our first day of Third Session winds down, we are looking forward to all the fun that awaits us tomorrow. 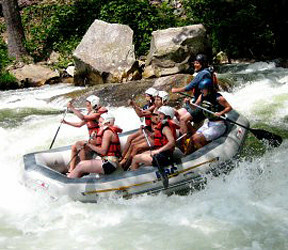 From hikes to Castle Rock to rafting the Nantahala or throwing a pot, we are sure to have another great day filled with adventure and new ways to stretch your limits! Yea camp! You can learn a lot about the Rockbrook horseback riding program by reading through the many resources on our Web site. We’ve written about being an advanced rider and a complete beginner. We’ve talked about our horses, our staff, even some of the games we play in addition to our mounted lessons. Now we have a new video to show you! It’s a great way to see our horses and riding program in action. Cara, our Equestrian Director, explains the philosophy and main goals of the Rockbrook program. Go ahead an check it out… And share it with your friends! At Rockbrook, our camp Equestrian Program teaches “English Riding” as opposed to “Western Riding.” But what is the difference between these two forms of horseback riding? One difference you’ll notice right away, even before mounting your horse, is in the saddles. Western saddles are wider and deeper, with a very prominent horn toward the front. These are stable, comfortable seats designed for the cowboy (or girl!) who needs to spend a long time in the saddle. English saddles are smaller and lighter to allow the horse the greater freedom of movement required for the different hunter jumper gaits. And again, they don’t have a horn. Other parts of the tack are different too. The reins are closed (left and right sides connected), the stirrups are shorter, and the bit is softer in the horse’s mouth in English Riding. With these differences, naturally how you ride English is different from Western riding. As opposed to Western riding’s use of the reins, English horseback riding relies much more on balance and the rider’s legs to control the horse. In English riding, the rider is often up and out of the seat (two point, posting and jumping for example), as opposed to the seated position in Western riding. Add to that learning to walk, trot, canter, dressage and jumping techniques, and you can see that learning English horseback riding is a wonderful sport. Do you remember Cool Beans from last summer? He was the white Welsh Pony who quickly became a star of the barn, well-loved particularly by the horseback riding juniors. Such a wonderful horse! Well, we have great news to pass along. 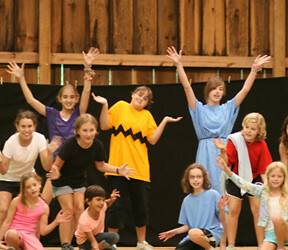 Beans is coming back to Rockbrook this summer! 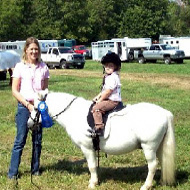 And even more exciting, he’s bringing along his friend Snowflake, another sweet Welsh Pony. We can’t wait for you all to meet Snowflake and to say Hi to Cool Beans again this summer. Who do you want to ride? 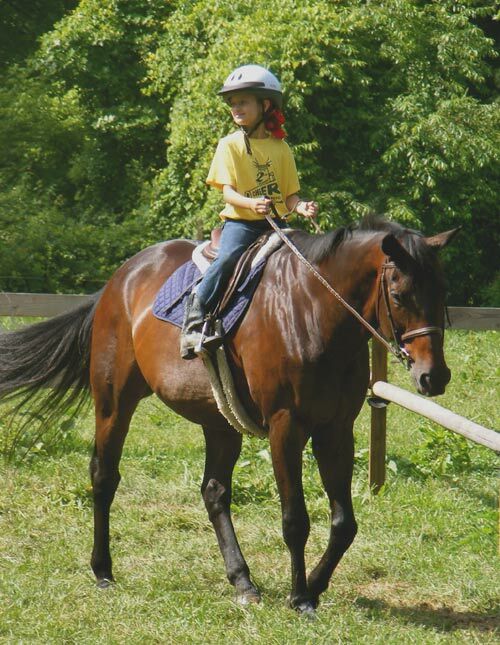 One common question about our horseback riding program is whether all the girls at camp, from the smallest kindergartners to the oldest teenagers, can ride while attending Rockbrook. The answer is yes! We are very careful to tailor our riding lessons to accommodate both absolute beginners as well as those teen horse girls who want to spend as much time as possible at the equestrian center. For those girls who are brand new to riding, camp is a perfect place to develop their interest and take their very first ride. They will learn important safety rules, how to mount, riding positions, how to communicate with their horse, and so much more. They will get to know some of the experienced, gentle ponies Rockbrook has especially suited for beginning horseback riders. For older, and more advanced horse girls, there are special mounted lessons to match their ability as well. The Rockbrook horseback riding program is ready to teach more difficult riding techniques and likewise has great, well-schooled horses for skilled riders. There’s horseback riding for everyone at Rockbrook! 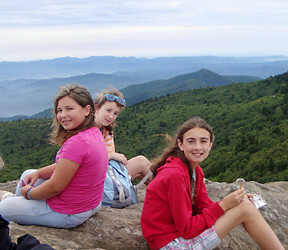 The typical lesson at Rockbrook’s riding camps match up girls with similar horseback riding experience and skills. This allows the equestrian instructors to tailor each lesson to the right level for the young girls in that class. Even though our youth riding camp lessons happen every day except Sunday, and even though campers tend to have the same 2-4 other girls in their class, it’s also possible for each rider’s assigned horse to change over the course of their camp riding lessons. The instructors make those changes based on how a young rider is doing in the lessons. Each lesson also focuses on a specific forward seat (English Hunter Jumper) riding skill, generally. 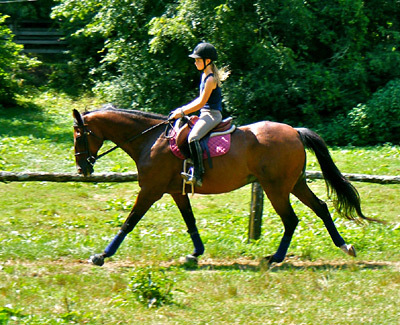 Everyone in the class might work on learning to post at a trot, to canter, or even jump their horse, for example. This is great because the riding instructors can coach each girl individually but also make suggestions that may benefits all of the riders in the class. It’s an ideal way to teach youth riding. Like for all the activities at Rockbrook, when girls take horseback riding they learn a lot and improve their skills, but they have tons of fun doing it. 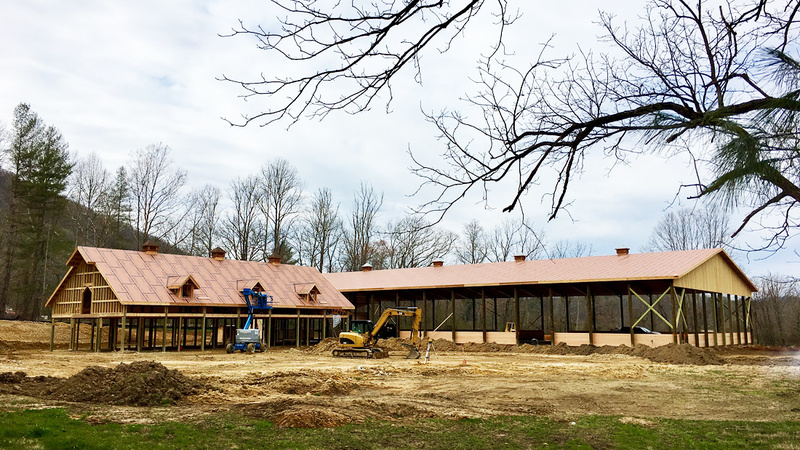 Everything is coming together down at the Rockbrook equestrian center in preparation for this summer. Here’s a quick note from Cara, the Equestrian Director. Many of the most popular horses are back like Gordon, Annie, Woody, Reagan, Buddy and Fritz. We have some new horses that we think you’ll love. Happy is a 16 hand Warmblood mare that has been a successful show hunter. 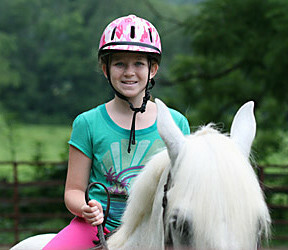 Tobie is a Halflinger pony that does therapeutic riding during the school year. He is so fat and adorable! We can’t wait to show him off to everyone! 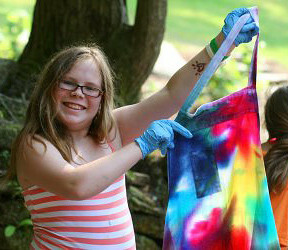 The Barn Staff has many surprises for riders this summer and is ready for campers to arrive! Campers arrive at camp this weekend and we’re ready to ride! There’s hay in loft. All 30 stalls are clean and prepared with fresh bedding. The fields or mowed. The fences are all cleared and strong. The feed room is stocked. The riding rings are groomed. Why would you do that? Well, it’s because you love your horse. 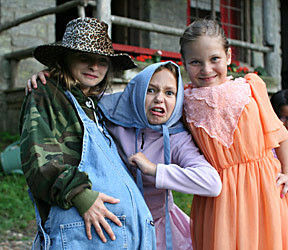 He or she becomes a really good friend of yours at camp. Like all good friends, you’ll grow closer with good communication, trust, and consistency. 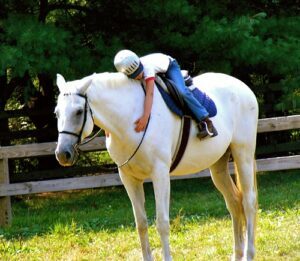 Horse riding requires all of these, and over time riders and their horses become more and more responsive to each other. A real emotional bond begins to form, a real feeling of care. That’s what we mean when we say at camp you can “befriend a special horse.” Riding, you’ll develop a special relationship with someone wonderful. It won’t take long; soon you’ll be hugging your horse too!